A recent high school graduate turned pizza delivery driver left a family speechless -- and reaching for their cellphone -- when he took to their piano recently and gave a performance to remember. 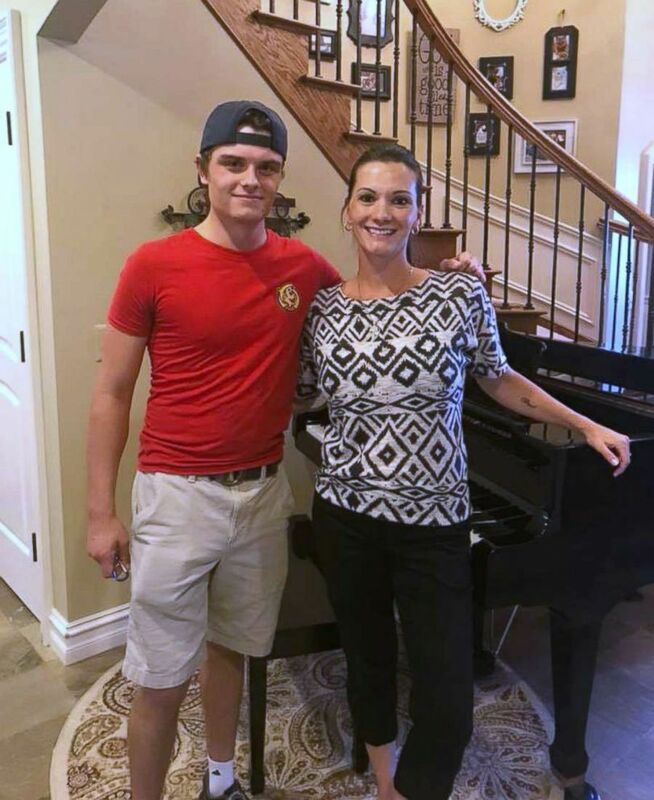 Bryce Dudal, 18, was delivering a pizza from Hungry Howie's to the Varchetti house Wednesday in Sterling Heights, Michigan, when he came across their baby grand piano in the foyer. Julie Varchetti's husband asked him if he wanted to check it out and Dudal did just that, taking to the keys and playing Beethoven's "Moonlight Sonata, Third Movement." "It's always a big stress reliever to be able to just bust out some Beethoven or Mozart," Dudal told ABC affiliate WXYZ-TV in Detroit. Varchetti, who was not home at the time, said her husband was so blown away by Dudal's playing and sent her a cell phone video, which she then posted to social media. She said her phone started blowing up with notifications that people were sharing the video. Bryce Dudal, a pizza delivery driver, is pictured with Julie Varchetti in Sterling Heights, Mich.
Dudal, a mostly self-taught pianist, said he'd been playing the piano since he was 6 years old. At 12 years old, he stunned customers at a local mall, playing the piano. "I wasn't really taking lessons that much anymore. I kind of got a little bit bored with it," said Dudal, who'd traded the piano for baseball and even landed a sports scholarship to a local college. While Dudal said Wednesday's impromptu concert at the Varchetti home was not the first time he'd played for customers, the teen admitted that the attention from the viral video had sparked a new interest in the piano for him. And, that was music to Varchetti's ears. She said she'd love to order more pizzas if Dudal is the delivery driver. "It's one of those heartwarming stories," Varchetti told WXYZ-TV. "You can never judge a book by its cover."